Do you have an information product (e-Book, PDF, Word document) that you want to sell online? There are a few ways you can do this that are fairly simple. E-Junkie and Gumroad. These are my two favorites for the following reasons. Even though I like both of the services, they do have their differences. E-Junkie has been around the block a few times is used my quite a few folks. Right now, I’m leaning towards Gumroad because of it’s style and lack of required information for credit card processing. You only need to enter your email address and credit card information. 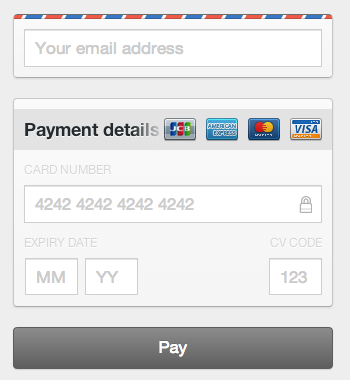 As an added bonus, the payment screen looks awesome on mobile devices. What are the benefits of using a 3rd party service? Mainly, you don’t need to have an SSL certificate (additional cost) nor do you need to worry about processing credit cards or PCI information. Some of these services, like E-Junkie and Gumroad, can also stamp your PDFs with a watermark with the buyer’s information. This is a neat feature if you’re worried that your product will end up on download/torrent sites. What are the detriments of using a 3rd party service? There are some costs involved with using a service… Such as, you may have a monthly fee or the service may take a certain percentage of each transaction in conjunction with a transaction fee. Often times, the security and features the service offers outweigh the cost.